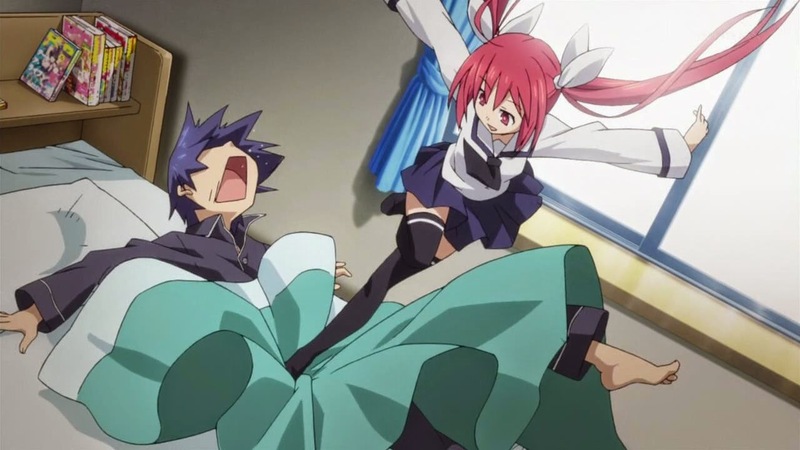 So I finally got a chance to watch Date A Live and I did enjoy it. but you can keep reading below for my written review! At first when I started watching the show I did get pretty confused since I wasn’t for sure where it was going but then once it hit like mid way I got very into it and realized how funny this show was. 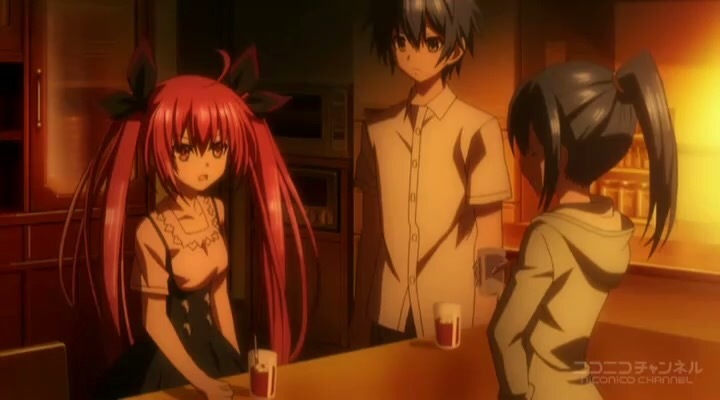 The hilarious parts of the show were a lot of times from the side characters like Shido’s friend who was quite funny whenever he was around. Now this is a harem show so if your not one for harems then you may not like this show but it definitely wasn’t bad. I don’t mind harem shows because I find them pretty interesting. By far though my favorite part of the show was definitely the last few episodes when it got very dramatic just because it fun to see the characters be serious for a nice length of time. But overall I give this show a 7 out of 10. It was definitely enjoyable and had great humor involved. It also had romance which I of course like and it also had some dramatic moments to give the show some depth. So if you haven’t seen it check it out and if you have let me know what you think of it. I just recently thought about this but what original movie meaning your regular live action movie would you love to see turned into an anime? 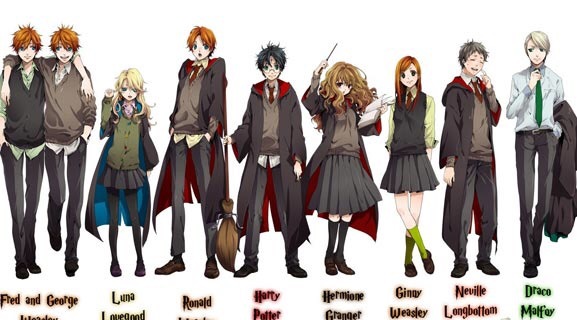 Well for me I would love to see Harry Potter turned into an anime. I don’t know why but it just seems really interesting to me especially since it deals with magic that it wouldn’t be all the weird to see it animated. But what about everyone else? What do you think or what show would you like to see? Comment down below because I would love to read your thoughts. Who Is The Smartest/Most Intelligent Anime Character? So I saw this question actually posted in the MAL forums and I found this to be very interesting question so I decided to extend it to here. 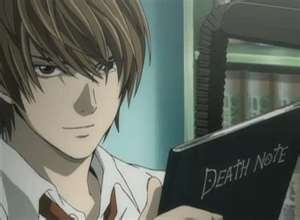 For me the smartest/most intelligent anime character has to go to Light in Death Note! Now while it didn’t go favorable for him in the end he was very smart with how he got away with it for so long. Light was literally able to predict other people’s moves even before they knew what their next move was and he was able to manipulate people to get the exact information that he wanted. I don’t know why but I just found the way that he was able to do that very amazing. But what about everyone else? What anime character do you find is the smartest/most intelligent. Comment down below and let me know who you think. I can’t wait to read them. 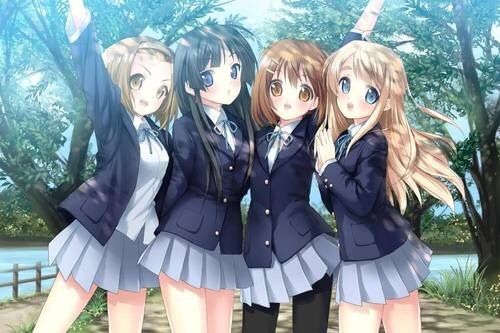 Kare First Love Manga Review! Alright so I finished another manga and it was Kare First Love and I actually enjoyed it! It felt like so many anime’s that I’ve seen all rolled into one neat but slightly disfunctional package. I also have a YouTube video with my review on the manga as well so check it out. The manga at first glance reminded me very much Peach Girl but then as I started to read more I noticed other anime’s that had the same element. These included Paradise Kiss, Ao Haru Ride, and Say I Love You. Now noticing this didn’t hurt the manga in any way it actually made me like it more. Now what I did like about the manga was that it was a fairly easy story to get into and it had many types of drama. It had family drama, couples drama, and friendship drama. While it did have some of the same elements that many shoujo manga have it was still enjoyable to read. The art in the manga I also very much enjoyed since it was easy to follow along with all the chat bubbles and I didn’t feel like I didn’t know which one to start with. Plus you could tell that the guys where drawn to show how handsome they could be and also how a good majority of the girls were very pretty. The only thing I didn’t like about the manga was that I thought that Yuka (Karin’s friend/enemy) was going to be a big part of the manga but to be honest after the beginning she wasn’t really in it. She would show up every now and then but not too much and she didn’t cause to much havoc. Then once it got to the end of the manga she was pretty much nonexistent. But overall I did enjoy the manga and I give it a solid 7/10. I enjoyed since the ups and downs of the relationship even though it was a bit much. Also I did like how Yuka wasn’t solidly apart of the series like you originally thought. 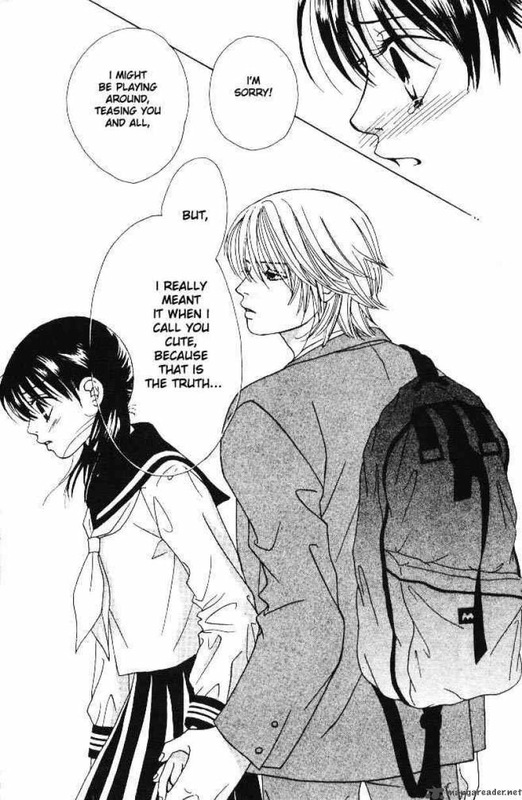 But if you like shoujo manga I think you would enjoy it. So check it out! 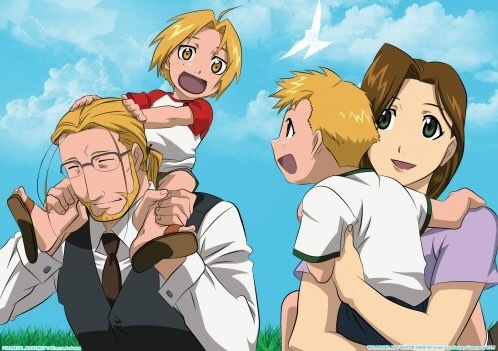 Anime Fan: Expectations, Reality, & Stereotypes! That is the title of my new YouTube video which just was uploaded today so check it out here!